1. Kill your loans first. Car loan, Education loan, home loan, personal loan – these are traps. Money is a myth and money is a trap. 6. Avoid LIC. Avoid Chit funds. Avoid get rich quick schemes. Avoid Network marketing business, avoid anything which does not add value to the society. If someone tells you to invest in X, ask yourself – is this X adding value to the society? Is this X dealing with people? If the answer is No, chuck it. These are traps they have built to loot your money, they will mould your brain so that you yourself submit your money to them. Read my post -> Personal Finance: I earn 52000 ₹ per month. What are the best ways to increase my assets and decrease my liabilities? 11. Do not give money to your friend as a loan. Never. Trust me, money kills relationships. Some relationships are broken the moment you earn or lose enough money. Try not to give loan to friends or relatives. If they are in trouble and need your help, donate the money to them but never expect them to return. Do not loan money to people expecting a return. Better, do not loan it in the first place. 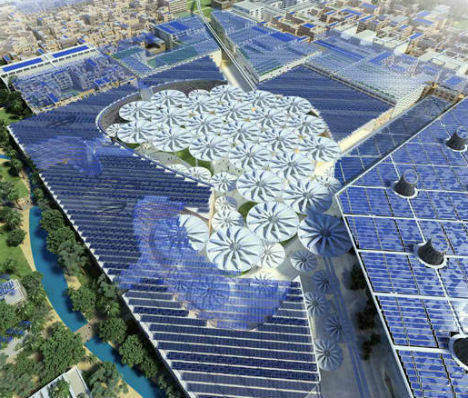 A masterplan of Masdar City. It is being built by the Abu Dhabi Future Energy company, a subsidiary of Mubadala Development, with the majority of seed capital provided by the government of Abu Dhabi. Construction set to be completed over seven phases by 2016. The winning design entry was submitted by the Laboratory for Visionary Architecture and features enormous movable sunflower umbrellas to regulate daytime and nighttime temperatures and reducing the cooling needs of sheltered building, a rainwater capture system capable of hold a fifty-year supply of water, and hydroponic gardens watered with grey water from the city’s buildings. 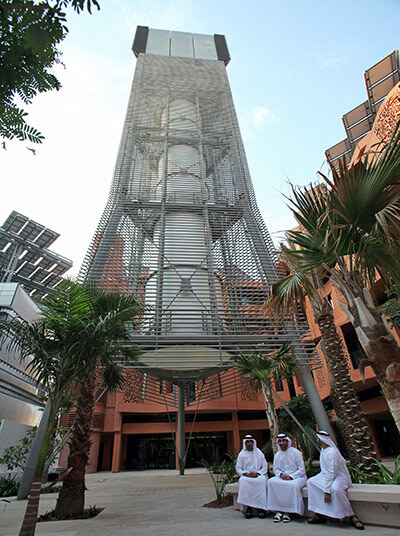 The Teflon-coated wind tower in Masdar City, which shows citizens how much energy the community is consuming. Sustainable Living … Look out We all might have more reasons to be moving.. There was one time when internet users needs to create an account to log into chat messengers like Yahoo Messenger, Google Talk, Windows Live Messenger and even Facebook messenger. Today they can enjoy the experience of Chat and can talk to there loved one,friends,family through an application ‘Whatsapp‘. A normal Android based Smartphone, an iPhone or a blackberry Phone can easily run this application with the help of which A person can chat with there friends on there phone only. I absolutely Adore whatsapp. Its one of the most convenient and possibly also the Cheapest way to text with friends and family and there is no need for additional sign ups and passwords and other gobledygooks since all your contacts are already in your Sim card or your phone. It used to be only for iPhones but now its available for Symbian, Android and Blackberry! So we could all enjoy the whatsapp goodness. I cannot believe how a simple app can be so elegant and yet make it so easy to keep in touch with friends *eyes shining* Whatsapp enables there users to chat in group without paying anything. This application comes with a HUGE options of every damn expression! You can think of. Whatsapp, from the time It has been launched, became very Popular specially with the youth. They spend good time chatting with there friends which also enables them to share pictures,quotes ,anything. It was started initially in the Google based Android phones and later on spread there market in i Phones and blackberry phones. Whatsapp is also not a very heavy application but requires continuous updates to keep it running. Many applications have been introduced and been introducing ,but still not able to mark as Whatsapp did today. Today Public needs innovative applications at free cost so that they can talk to there friends ,family at convenience. WhatsApp messenger has strike a New record, when it sent 10 billion messages in a single day, 6 billion outbound and 4 billion inbound, on 23 august 2012. Do you lurrrrvee it as much as I do? Comment below! World market is changing very fast and so is India. India with its wide diversity, offers a fascinating scope to study the host of changes which developmental activities have brought about in its social and economic life of the people. Post independence it has emerged as one of the best markets in the world where any and every quality product is accepted. 1. Question yourself about the different value you will bring along with your new business: Do keep in mind that as an entrepreneur you are bridging between the desire of the users and the manufacturer. Ask questions like, what is it that you are offering? Is the product already available in the market? 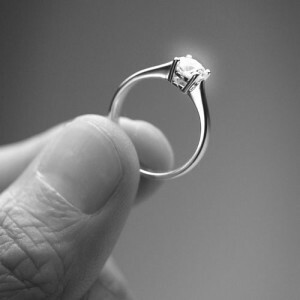 If yes why your one is special, and should be used by the customers based in India? To position your product well plan out a good marketing strategy in the competitive market. A good marketing strategy is your key to success. 2. Do SWOT analysis first: S- strength, W-weakness, O-opportunities and T-time. To position your product in the Indian market and to start a business this SWOT analysis is very important. In Indian market, this analysis helps a lot. People have different sentiments at different time. It also depends on their geographical location and festival sentiments. For e.g. Diwali is celebrated almost all over India, hence maximum number of films are released during that weekend. People go out with family and they need entertainment. Similarly since Diwali is the festival of gifts sharing, most companies launch their products, like electronic goods or apparels during this season. 3. Do market research and identify opportunity: For you new small business it’s always advisable to do a through market research that will help you understand the price, market, quality and timely delivery of the product or service. To get better result, and avoid any unwanted protest, you may hire a professional market research company and get your job done in a much better way. 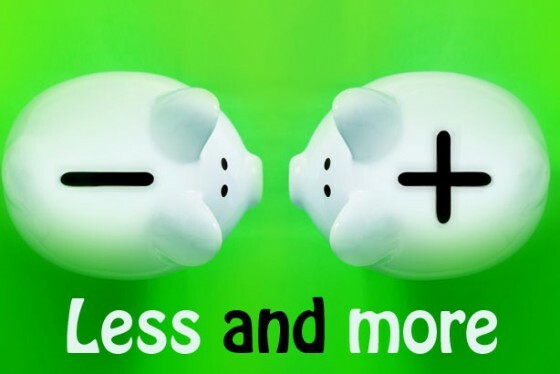 If you do not have much budget to spend on research, then at least frame the market research questions and then talk to your friends and their relative, contact as many person as you can and do a research so that you get a proper view of the clients expectation. 4. Frame a business plan: Work out a proper business plan. After you have thoroughly done the research now its time for an apt business plan. Write it down on a paper, mention the time you need to introduce the product, strategy of marketing the product, finances, revenues that you can earn by introducing your product or service in the market. 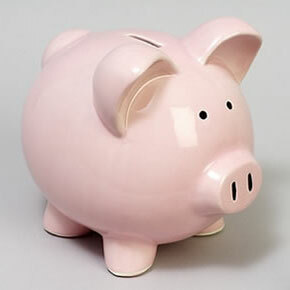 If you need a loan then plan out the accounts part properly. 5. Marketing plan: Choosing the right marketing strategy is very essential in this competitive world. Plan out how much revenue you want to earn in a month. Write down the details and identify your monthly target properly. Use your resources well. Yes, that’s a satellite photo, and yes, there really is a gigantic set of connecting canals spelling “HAMAD” in Abu Dhabi. This super Wealthy Oil Sheik is the Douchebag who paid to have his name etched into the sand so that it would be visible from space. Hamad, 63, a scion of the Billionaire Abu Dhabi Royal Family, has gouged his name in capital letters two miles across and half a mile wide. His moniker is so big it can be seen from space (as this Google Earth pic demonstrates). The tip of the “H” reaches into the strait that leads to the Arabian Gulf, allowing Hamad to fill the first two letters of his name with water. The “M” looks partially filled as well. 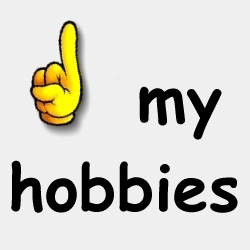 We love fulfilling our hobbies , but very few of us dare to convert it into a profession. 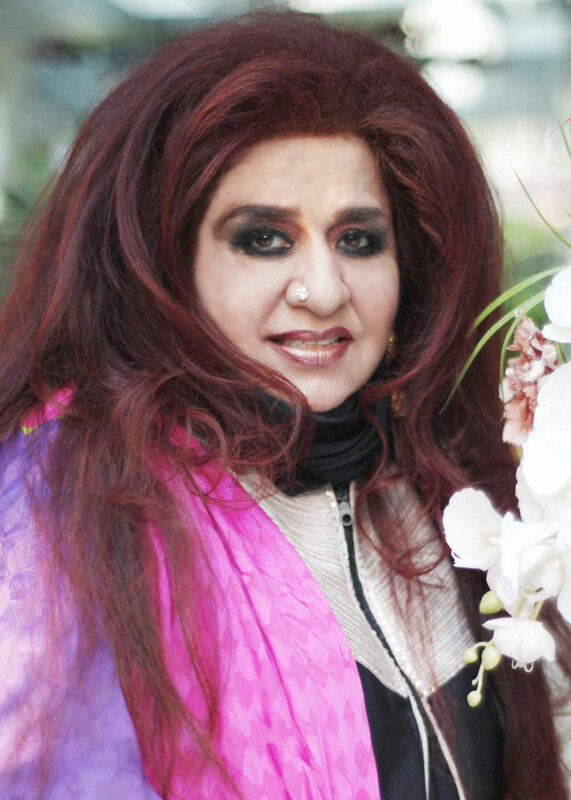 Shahnaz Hussain is one of the best example who dared to convert it’s hobby of putting lot of cosmetic into selling Cosmetics across the globe. Shahnaz was 16 when she got married. Belongs to a typical Muslim family, the opportunities of growing was less compared to emerge in the outer world. But even then this bored housewife spotted a gap in the beauty treatment market and single handedly established an empire and become undisputed champion in business world. This Cosmetic Queen Chief Executive Officer (CEO) of the ‘Shahnaz Hussain Herbals‘ now deal in more than 250 products in 60 countries and is the perfect example of success in commercial sector. Hussain was cricticzed by eminent people belongs to different societies for its work. Even a large segment of Muslims was against its work of selling cosmetics. A part from it, the empire was badly affected by the reactions of doctors who never prescribed for Shahnaz’s product for any treatment. But even then,her products are worldwide famous with all categories of people. She started giving franchises which made the Ayurvedic business ‘A Hit’. She knew very well from the beginning about the underutilized resource of the country which is used in different treatments in ancient times. She sells Pure Ayurvedic substances in one bottle of cosmetics which make the product expensive. Her target segment is Upper Middle Class and Higher Income Group people from the beginning. She has around 300 Saloon franchises and 53 beauty Schools across the world. Shahnaz has become a brand itself as most of the people buy the stuff from it’s store only because the name ‘Shahnaz’ associated with it. Her Success Mantra – A Muslim Girl taught by Irish Nuns who has spent her life devoted to developing a Hindu Vedic System of Medicine. In Mumbai, he landed his first job in a canteen “I washed dishes in the canteen of Hindustan Organic Chemicals,” recalls the 54-year-old Banan. His first promotion came within three months of joining the canteen where he was moved up to waiting on tables. Eight years later, Banan quit as night manager to move to the capital, where he started a canteen of his own at Central Electronics in Ghaziabad. The chain makes an impressive 15-20% profit. And all this success has been showcased to the world by a man who was born in a little village called Karkala, 30 km from Udupi. One of seven children, Banan never saw himself living a life in the village. And his ascent to the high flying life of a restaurateur started when Banan failed his school exams, stole some money from his father and ran away to find a life in Mumbai. Jayaram Banan, founder of south Indian restaurant chains Sagar Ratna and Swagath, is starting yet another restaurant chain, this time offering north Indian vegetarian cuisine for consumers who don’t eat onion and garlic–mainly the Jain and Marwari communities. Banan, who is a minority shareholder in Sagar Ratna Restaurants after having sold the business to private equity fund Indian Equity Partners in August last for Rs 180 crore, told ET that the new chain is being named Shraman. The first restaurant is coming up in Delhi next week. Banan is also venturing into packaged snacks, pickles and ready-to-eat meals. Packaged snacks, under JRB brand, will compete with Frito-Lay’s and Haldiram’s. “We already have the facilities for the same and we only need to diversify into packaged foods through backward integration,” he said. 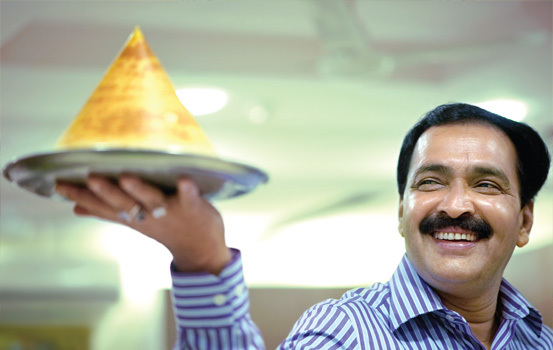 Banan, chairman and promoter of the Swagath chain that specialises in non-vegetarian south Indian seafood and 4-star hotel Ocean Pearl in Mangalore, said his son, Roshan Banan, is looking after this part of the business. The ready-to-eat meals will be launched under the Swagath brand. Banan said the group is targeting revenues of close to Rs 200 crore by 2012-13, up from Rs 120 crore last fiscal. 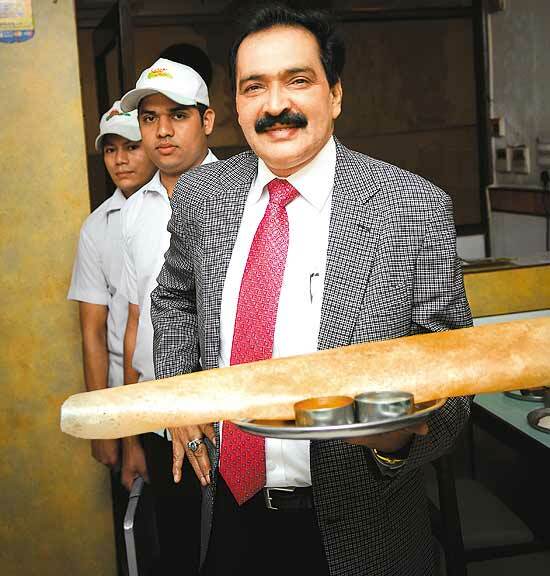 Banan continues to be the chairman of Sagar Ratna and there is some speculation that he is having differences with new owners Indian Equity Partners. This was denied by both Banan and IEP operating partner Arvind Nair. The funds are being used to facilitate expansion of the chain, which specialises in vegetarian south Indian cuisine. 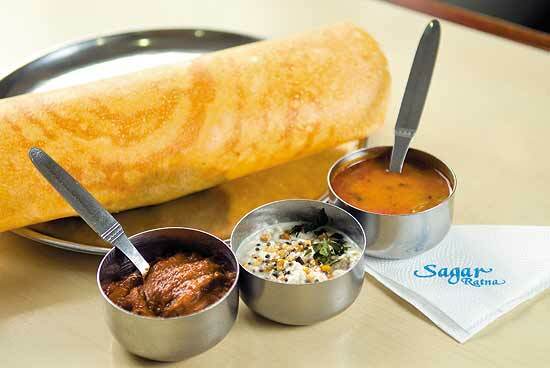 The 26-year-old Sagar Ratna chain, which specialises in vegetarian south Indian cuisine, plans to open 50 outlets over the next one year through a combination of franchise and company-owned stores. Currently, it has 28 branches and 42 franchisee outlets, mostly in North India. Swagath has 11 restaurants and plans to open four more this year. The eating out industry has so far been insulated by the economic slowdown. A white paper on the Indian restaurant Industry by the National Restaurant Association of India (NRAI) along with retail consultancy Technopak says that the organised restaurant industry is expected to grow to Rs 28, 000 crore by 2015, fuelled by the entry of newer players and expansion of existing ones. It has become increasingly common to find women making their presence felt in media, banking, education, manufacturing, financial services and many other fields. And, of course, you cannot ignore the Indian businesswoman who is here to stay in what has traditionally been a male-dominated field. Here is a list of the top 10 Indian businesswomen who have carved a unique place for themselves in their own respective space by their talent, hard work, and determination. 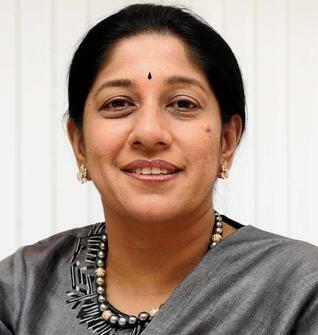 Mallika Srinivasan is the Chief Executive Officer, Chairman and Director of Tractors and Farm Equipment (TAFE), a Chennai based tractor and farm equipment manufacturer, which is the largest of its kind in India. TAFE also runs hospitals and schools. An MBA from the Wharton School of the University of Pennsylvania, she serves as a member of Executive Board at the Indian School of Business as well. She has been responsible for accelerating the profit of the company from Rs. 85 crore to Rs.2900 crore within 20 years. She was honored with the Businesswoman of the Year award in 2006 by The Economic Times. Dr. Swati.A. Piramal is the Vice Chairperson of Piramal Life Sciences Limited and Director of Piramal Health Care Limited, a leading pharmaceutical company that aims to bring affordable drugs to society. Dr. Piramal, an M.B.B.S graduate from Mumbai University and an alumnus of the Harvard School of Public Health, is one of India’s leading scientists and industrialists, and is involved in healthcare, focusing on public health and innovation. Her involvement in public policies related to healthcare has led to major policy changes that have had a positive impact on the health care. 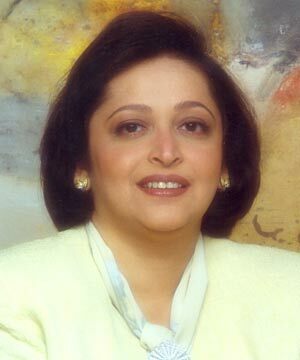 She is the first woman to be elected as President of ASSOCHAM, India’s Apex Chamber of Commerce. She has received France’s highest honor – “Chavalier de l’orde National du Merite (Knight of the order of Merit) in 2006 for medicine and trade. She was conferred the Padmashri award by President of India in 2012 and is a member of the Hall of Fame for the most powerful women. 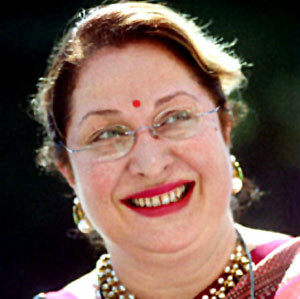 She has also been nominated as one of the 25 most powerful businesswomen in India eight times. 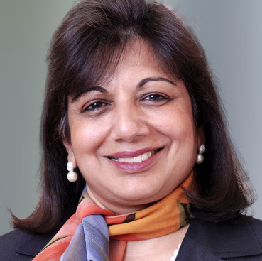 Dr. Kiran Mazumdar Shaw is the Founder, Chairman & Managing Director of Biocon, the biotechnology company delivering bio-pharmaceutical solutions. She started her venture in a Bangalore garage with an initial capital of Rs. 10,000. Now her company is worth well over $ 1.2 billion and has the largest statin, insulin and perfusion-based antibody facilities in Asia. She was India’s richest woman in 2004 and was awarded the Padmabhushan for her services and contributions to biotechnology in 2005. Reddy is the Managing Director of the Apollo Hospitals Group, one of the largest healthcare groups in Asia. She has been appointed by her father Dr. Reddy to head the group after him. Preetha, with no MBBS or management degree, has proven herself as a great administrator and launched her first solo project, the Apollo Pediatric Hospital in Chennai. Today, Preetha Reddy has 45 hospitals under her able management. She was responsible for getting five hospitals of the Apollo group accredited with the Joint Commission International accreditation. The fact that she is the first woman advisor on healthcare to the Government of India, speaks volumes of her business skills and acumen. Motwani is the Joint Managing Director of Kinetic Engineering, Director of Kinetic Motor Company, and Kinetic Marketing Services. An MBA from Carnegie Mellon University, she singlehandedly designed and developed the marketing strategies for growing the Kinetic Company. The company has witnessed tremendous expansion during her tenure from a mere moped manufacturer, to a major manufacturer of two wheelers including mopeds, scooters, and motorcycles. She was awarded the Young Achiever’s Award for Business in 2002, Global Leader of Tomorrow by the World Economic Forum in 2002, and was named the “Face of the Millennium” by India Today. She also finds a place among the 25 business leaders of the next century in an industrialists’ poll by Fortune India. 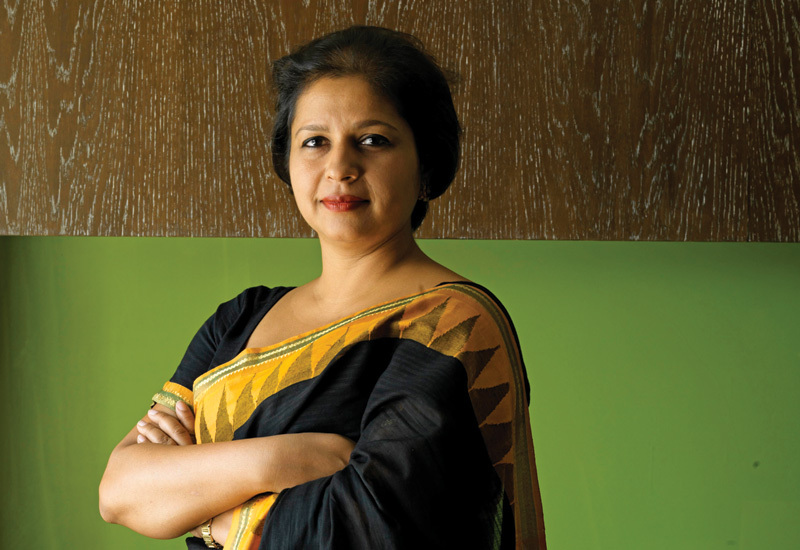 Priya Paul took charge of the Appeejay Park Hotels that was founded by her father, Surendra Paul. She is currently the Chairperson of the Appeejay Park Hotels. 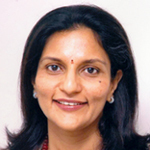 She is a founding member of the World Travel and Tourism Council – India Initiative, a Trustee of the India Foundation for the Arts (IFA), and Chairperson of South Asia Women’s Fund and a member of Harvard Business Schools’ India Advisory Board. She was awarded the Young Entrepreneur of the Year award from the Federation of Hotels and Restaurants Association of India (1999-2000), nominated as the Businessperson of the Year(2002-2003). She was conferred with the Padmashri by the Government of India in 2012. 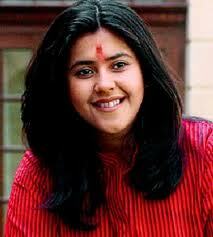 Ekta Kapoor owns Balaji Telefilms, the most popular production house in India. 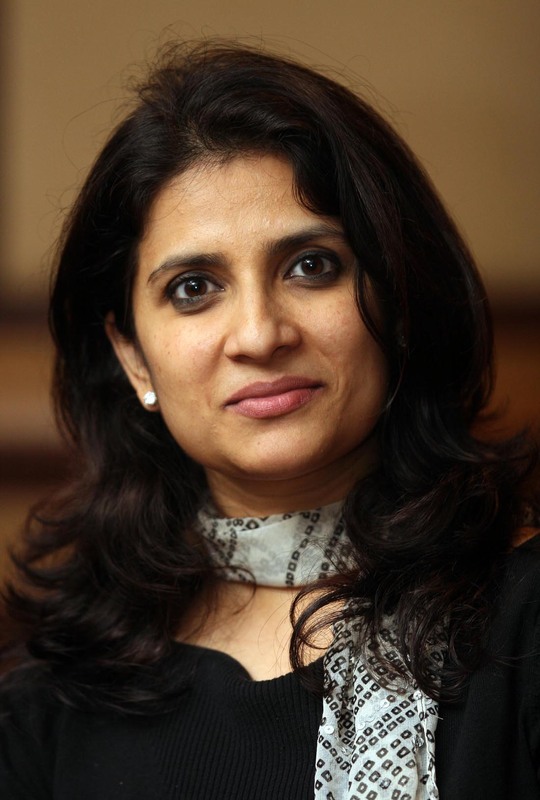 Balaji Telefilms is considered as one of the most powerful women-owned businesses in India. Ekta Kapoor, daughter of yesteryear actor Jeetendra, is the Joint Managing Director and Creative Director of Balaji Telefilms, her home production company. She has had a huge successful run in the small screen, producing a host of television shows. She won the Hall of Fame award at the 6th Indian Telly awards (2006) for her contribution to the Indian television industry. She is now making a splash in the film industry as well. The Dirty Picture, co-produced by Ekta Kapoor and her mom Shobha Kapoor, has received critical acclaim and has set the box-office on fire. Hussain is the CEO of Shahnaz Herbals Inc., the world’s leading manufacturer of herbal and Ayurvedic cosmetics. 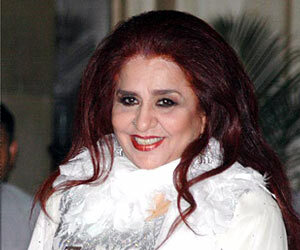 The Shahnaz Husain Group has over 400 franchise clinics across the world. She started her journey with a small herbal clinic in her own home, and created her own herbal treatments. She introduced a new concept of “care and cure.” She received the World’s Greatest Woman Entrepreneur Award from the US-based Success Group in 1996. She also has the Arch of Europe Gold Star Award for Quality, the Golden America Award, and the Indian Government Awards for Export Excellence in her awards kitty. She was also honored with the prestigious Quality Excellence and Outstanding Woman Entrepreneur 2002 by Global Quality Management, in London. She was also awarded the Padmashri by the Government of India in 2006. Ritu Nanda is Chief Executive Officer (CEO) of Escolife IT Services, a high technology platform that provides insurance services worldwide. She is also the CEO of the RNIS College of Insurance and Management. Having more than 55,000 clients, she finds a place amongst the top 1,000 insurance professionals in the world. She has been awarded the Brand Ambassador and the Best Insurance Advisor of the Decade awards from the Life Insurance Corporation of India, the largest life insurance company of India. She has her name listed in the Guinness Book of Records for selling 17,000 pension policies in one day. 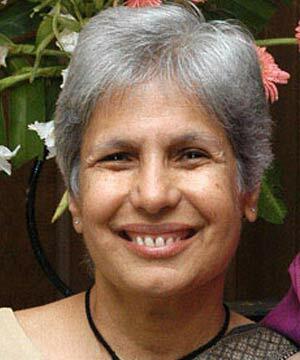 Anu Aga, currently the Chairperson of Teach for India, was the ex-chairman of Thermax Ltd., the Rs. 3246 crore energy and environment engineering major. As its Chairperson, Aga helped the company make a niche in international markets and converted it into a key player in energy and environment projects. She stepped down from this position in October 2004 to pursue her desire for social work. She selected her daughter, Meher Pudumjee to replace her. Aga continues to be involved with Thermax as a member of the Thermax Board of Directors. Aga has contributed a lot for the education for the underprivileged and has given a number of inspirational talks on women empowerment, and corporate social responsibility. She was awarded the Padmashri for Social Work by the Government of India in 2010 and was nominated to the Rajya Sabha, the Upper House of Indian Parliament, in 2012. She is a member of the National Advisory Council that advises the government on issues concerning the underprivileged masses of India.